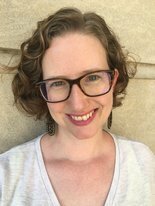 Dr. Miriam E. Sweeney, and research partner Dr. Nicole A. Cooke (University of Illinois, Urbana – Champaign), received a Diversity Research Grant for 2017-2018 sponsored by the American Library Association’s Office for Diversity, Literacy and Outreach Services. This grant will support Sweeney and Cooke’s research project, “Minority Student Experiences with Racial Microaggressions in the Academic Library.” This study uses surveys and focus groups to garner further insight into the specific experiences surrounding racial microaggressions directed at racial and ethnic minority students in the context of accessing library spaces and services on campus. The grant consists of a one-time $2,500 award for original research. Recipients will conduct their research over the course of the year, are expected to compile the results of their research into a paper, and will be asked to present and/or publish the final product in conjunction with the American Library Association. 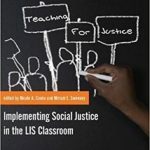 Sweeney and Cooke are also co-editors of the recently published book Teaching for Justice: Implementing Social Justice in the LIS Classroom (2017, Library Juice Press).